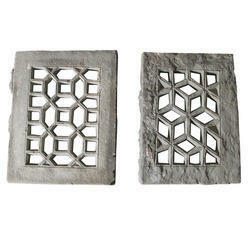 Our product range includes a wide range of stone jali. Leveraging upon our vast industry experience, we are engaged in providing a broad range of Stone Jali that is used in construction industry. Offered jali is designed and manufactured using premium quality Stone that is sourced from the reliable and honest market vendors. This jali is best in strength, therefore highly respected by the clients. Moreover, we provide this jali in different specifications at marginal price. Looking for Stone Jali ?